I came across a recipe for Calzone scones, which I immediately altered to fit my tastebuds. I find myself doing this with a lot of scone recipes, either because the original doesn’t sound good to me, or I’m out of some of the ingredients. Case in point. These Calzone scones out of the “Simply Scones” cookbook called for ricotta and spinach, neither of which I had. 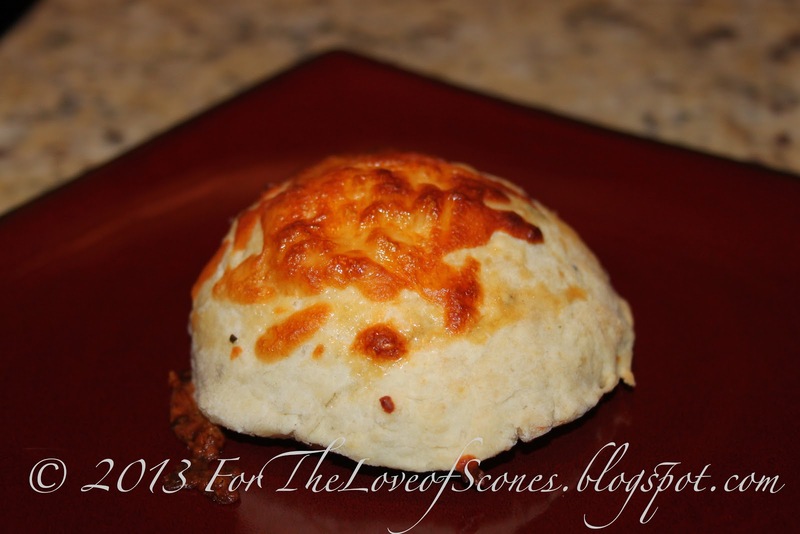 Therefore, I turned this recipe into a pizza scone. Enjoy. 1. Preheat the oven to 400F. 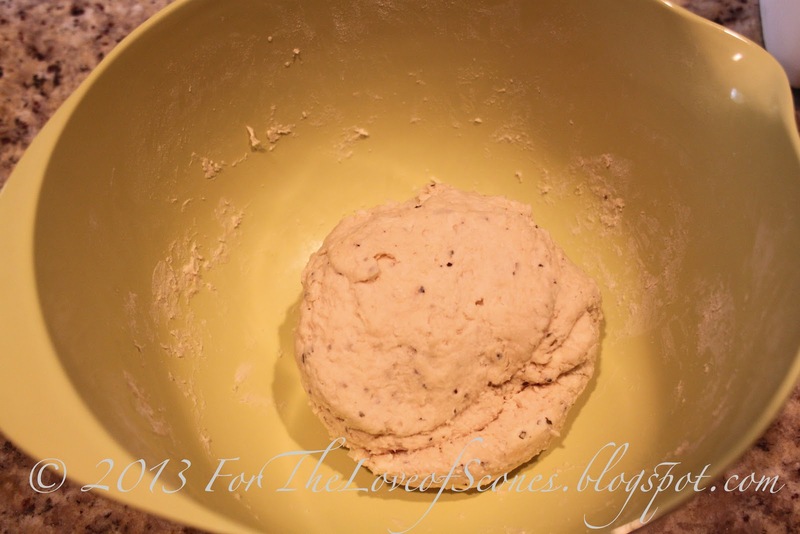 In a large bowl, stir together the flour, 1/4 cup of the Parmesan, baking powder, basil, oregano, salt and pepper. 2. 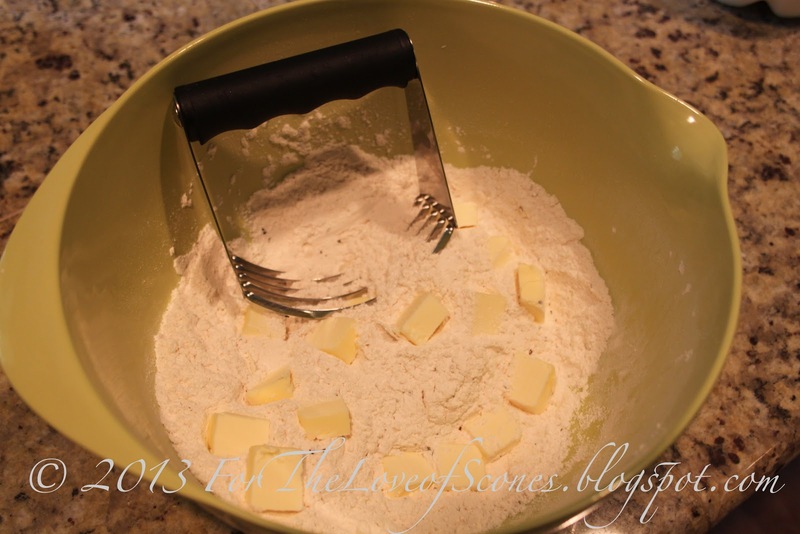 Scatter the butter pieces over the top and work into the flour with a pastry blender or a fork or your fingertips until the mixture resembles coarse sand. 3. Combine one egg and 1/3 cup milk and whisk gently to mix. Add to the flour mixture. If there is not enough liquid to bring into a firm dough after a couple of kneads, then add just enough milk to bring together. 4. Turn out onto a lightly floured countertop. 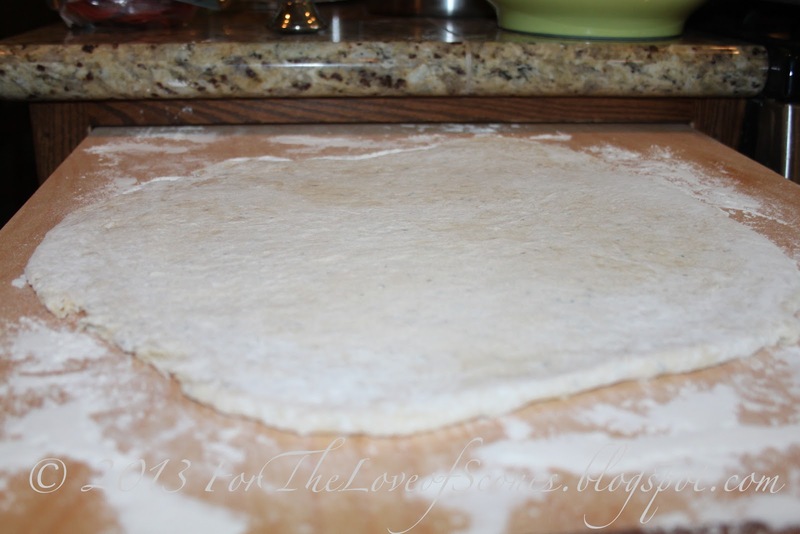 Cover the dough with a piece of parchment paper and, using a rolling pin, roll out the dough until it about 1/4-inch thick. 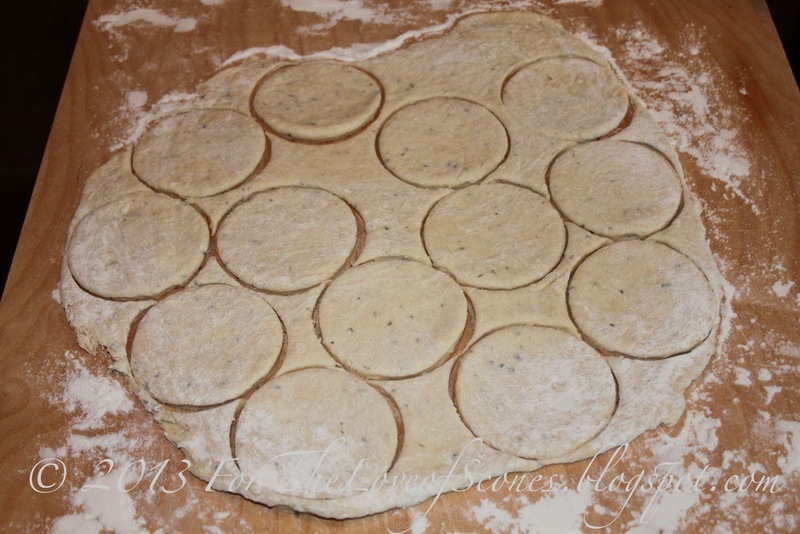 With a 2.5- to 3-inch round cookie cutter, cut as many scones out of the dough as you can. Roll the excess back into a ball and repeat. You should yield approximately 18-20 rounds. 5. 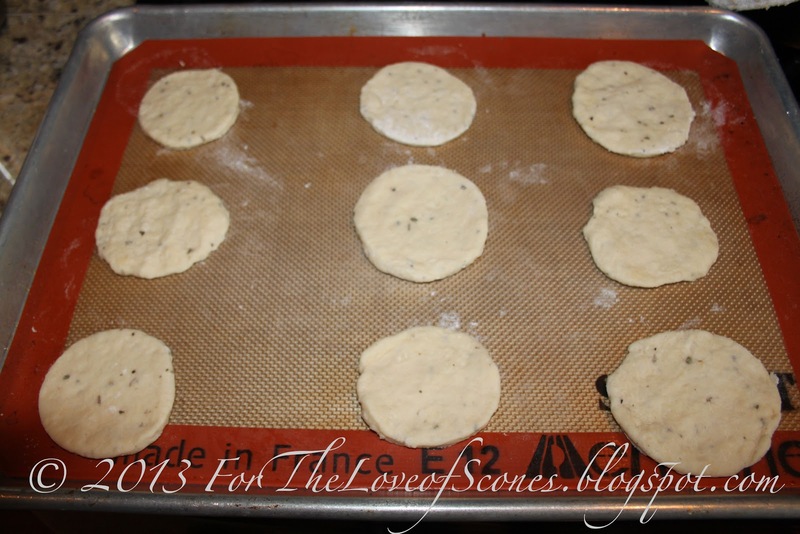 Place 9 rounds (or half of your yield) on a parchment paper covered baking sheet. 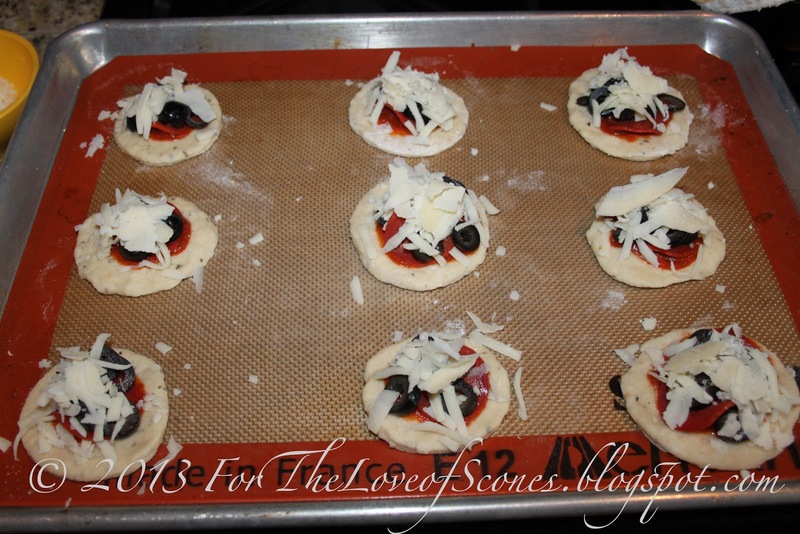 Scoop approximately 1 tsp of pizza sauce onto the center of each round, making sure to leave the edges of the circle free so you can press the top scone layer on later. 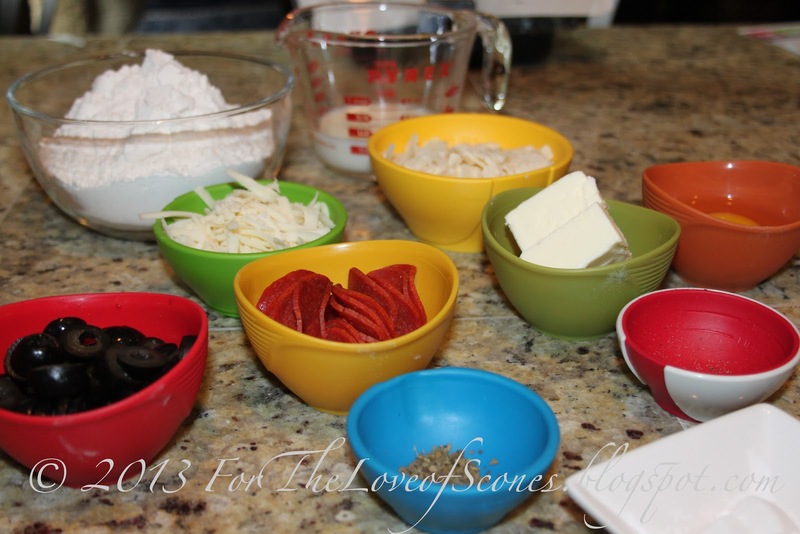 Add your ingredients, 1-2 pieces of pepperoni, a pinch of sliced olives, and a pinch of each Parmesan and mozzarella cheese. 6. When you have added your toppings, take one of the rounds you have set aside as the top, and stretch it out slightly with your fingertips so that it can more easily mound over the toppings. Using your fingertips, press the edges of both levels of scones together and repeat with the remaining scones. 7. Take the second egg and whisk it in a small bowl. 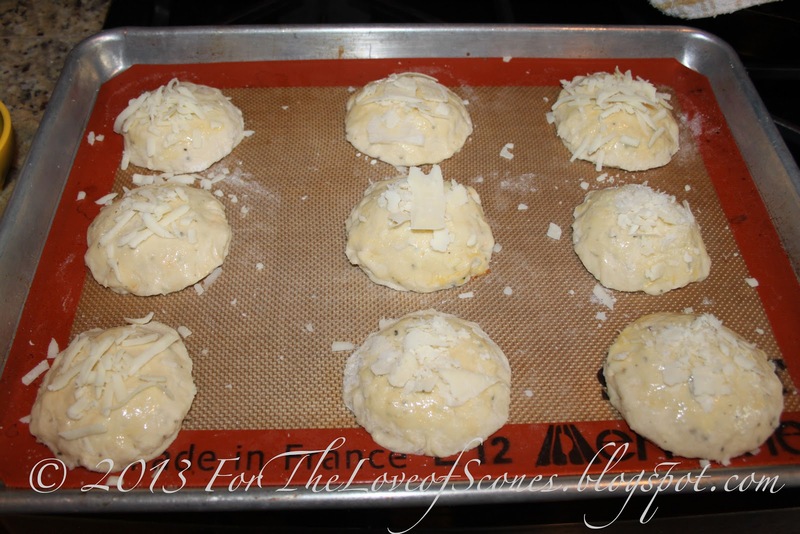 Brush the tops of the scones with the egg and sprinkle any remaining cheese on top (best if it’s mozzarella, since it will brown nicer). 8. Bake for 15-17 minutes, or until golden on top. Allow to cool for a few minutes on a cooling rack. Best served warm. 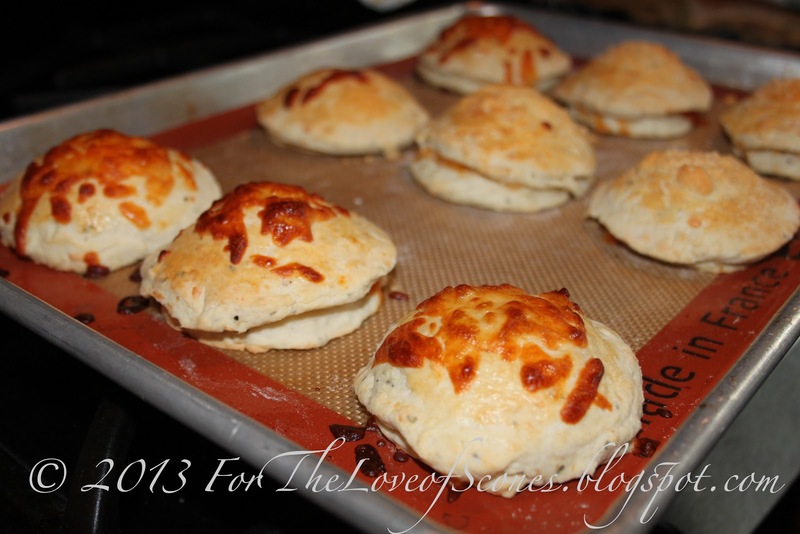 These are a yummy snack scone for a light lunch. They are neither greasy nor heavy, so it’s better than pizza in that respect. That said, when I make them again, I think I would increase both the amount of salt and spices added. *The flavor is a little bland, leaving me to wonder if there wasn’t enough salt in the recipe. I haven’t repeated this recipe yet, so next time, I would probably add another pinch or another 1/8 tsp of salt.